If I had a nickel for every time I saw someone raving about Trader Joe’s Everything but the Bagel seasoning, I might close the doors on my blog and buy an island. Like the seasoning blend, I’m a little salty if you can’t tell. I live in a Trader Joe’s Death Valley and have been witnessing the hoopla from afar. At least I was until I found the seasoning these protein pop tarts use in the spice section at Sam’s Club. 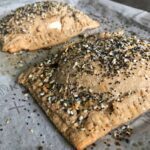 I asked for recipe requests in my Instagram stories, but I honestly knew my first everything bagel recipe needed to be a savory breakfast pop tart. 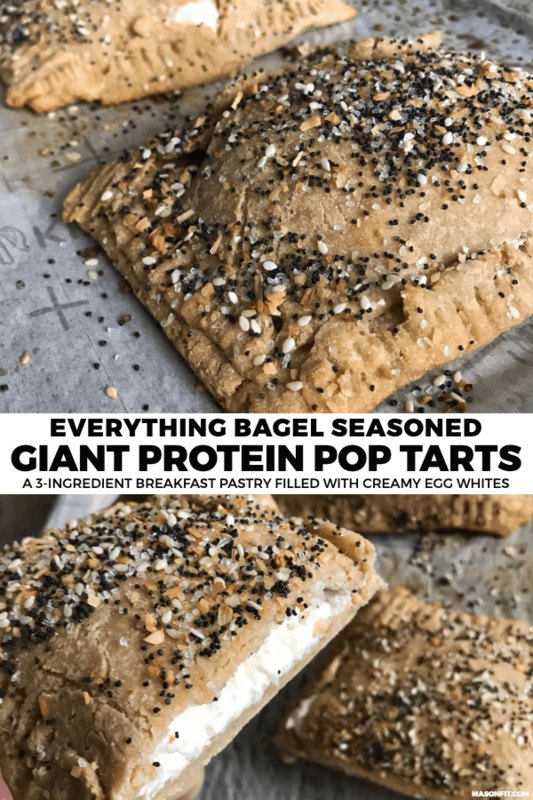 And that’s what we’re looking at today—two giant protein pop tarts with 39 grams of protein each and an ingredient list you can count on one hand. Seriously, they’re that simple. Check out the 1-minute video walkthrough below if you don’t believe me. I toyed with the idea of using Carbquick, but I’ve used it in so many recipes as of late (like these bacon, egg, and cheese biscuit donuts). So, I decided to go with something that’s a little more familiar and readily available in Kodiak Cakes Flapjack Mix. At the time of publishing this recipe, I haven’t experimented with Carbquick, Bisquick, or flour and protein powder yet but plan to. 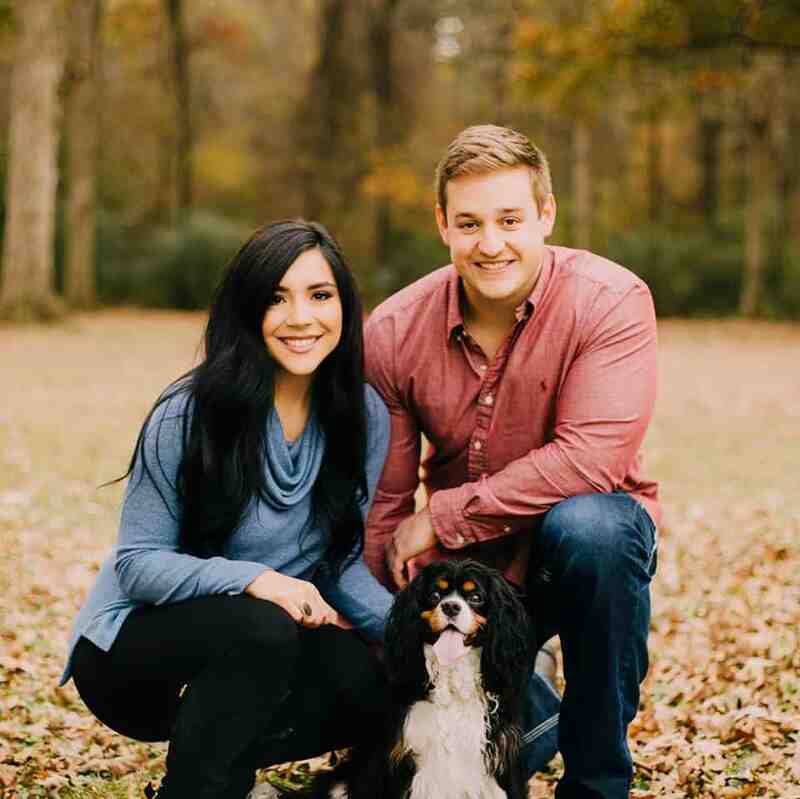 There’s a high probability you can substitute other structural ingredients for Kodiak Cakes, but I can’t definitively give you amount recommendations yet. 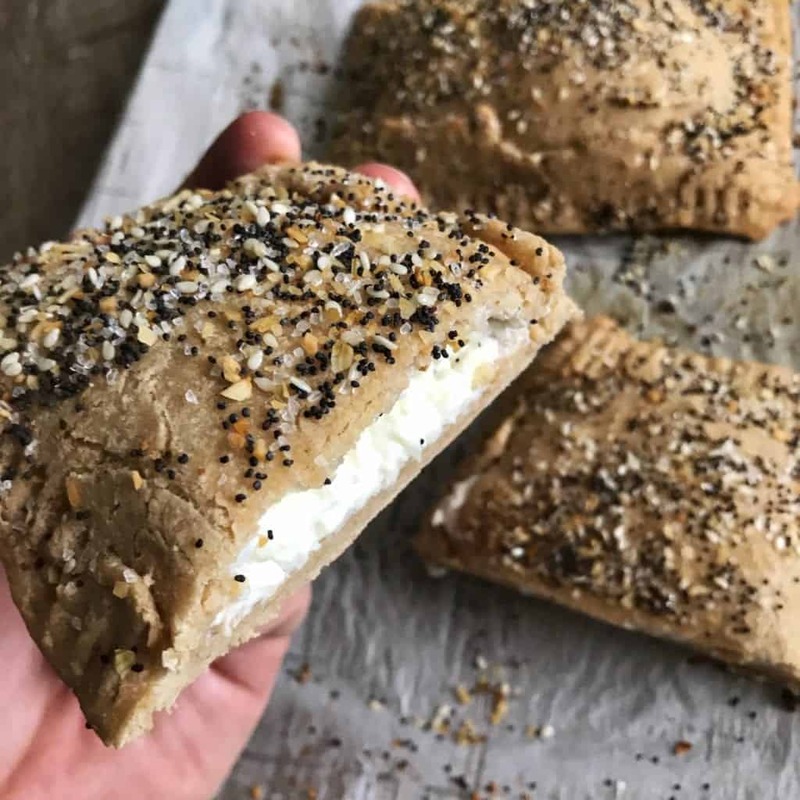 Beyond the Kodiak Cakes mix, you’ll only need Greek yogurt, egg whites, cream cheese, and the aforementioned everything bagel seasoning from Sam’s Club. Or if you’re one of those Trader Joe’s snobs (kidding), use your fancy Everything but the Bagel OMG IT’S SO GOOD seasoning. As far as modifications go, you could certainly use whole eggs in place of the egg whites if you want a bit more fat. 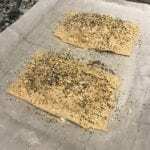 And you can add an egg wash on top of the protein pop tarts before adding the everything bagel seasoning to help the seasoning better stick and get that golden brown top during baking. In the video above, I mentioned the possibility of making three pop tarts instead of two huge pop tarts. And in my Healthy Pop Tarts: Hot Fudge Sundae Edition, I did just that. This is perfect if you need fewer calories and lack the restraint for eating half of one of the huge ones. I used the same amount of dough in both recipes, so you’ll just need to cut yours into smaller pieces. 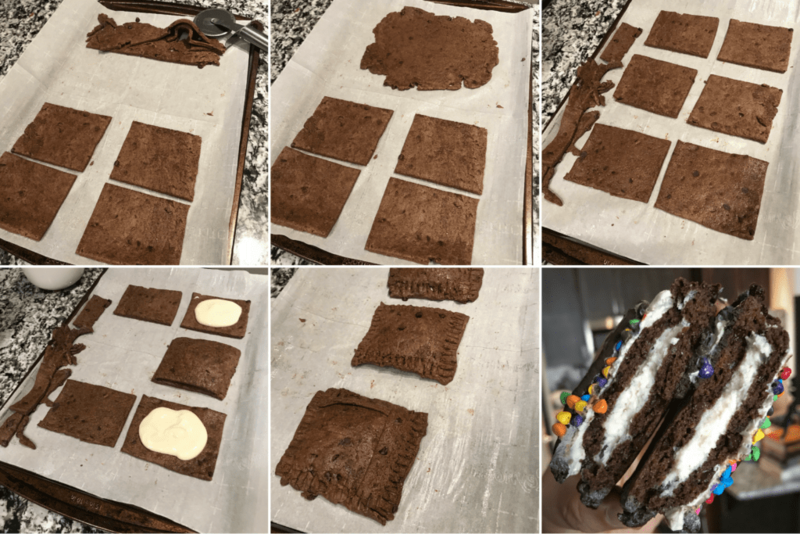 And if you like chocolate as much as I do, you’ll want to check out my Chocolate Peanut Butter Protein Pop Tarts as well. All right, that’s all I have for you in terms of ingredient or modification notes. 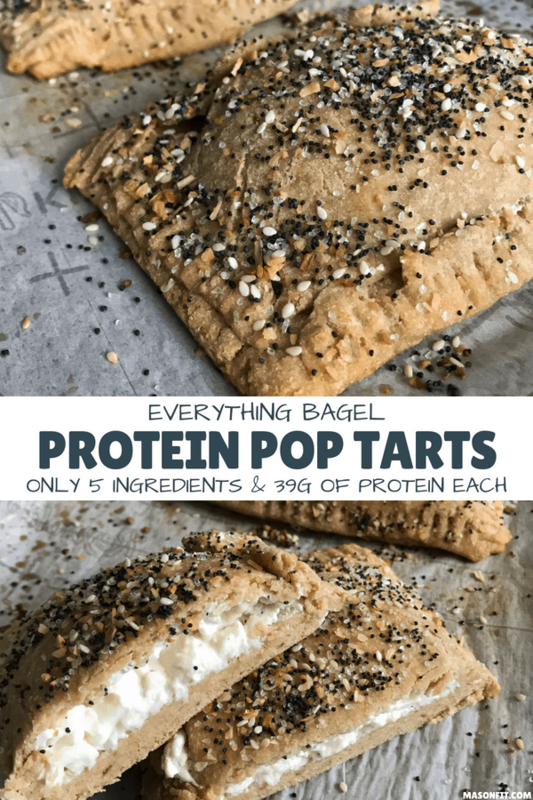 When you try these protein pop tarts and love ’em, I wanna hear about it. Take a picture of your creation (#picsoritdidnthappen) and tag me on Instagram and I’ll be sure to share it with the world! 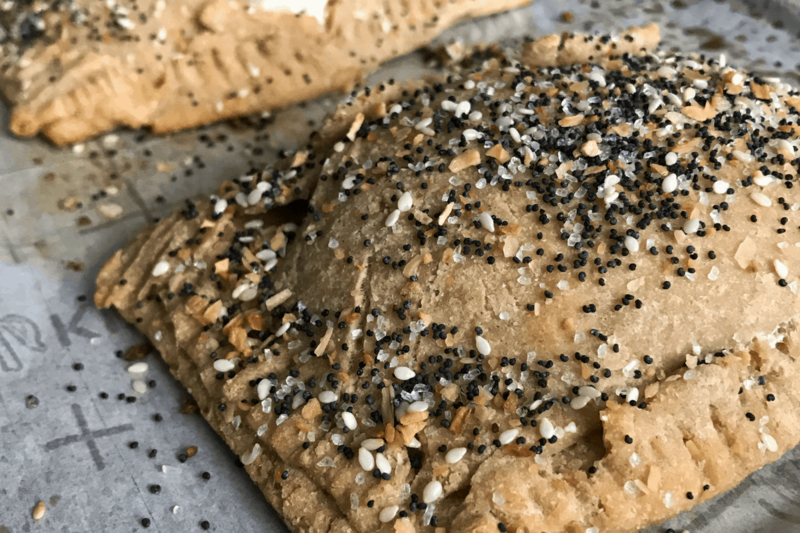 2-ingredient protein pop tarts topped with everything bagel seasoning and stuffed with egg whites and cream cheese. Once the dough is prepared, cook the egg whites in a small skillet before adding the cream cheese. Stir until even and add the pepper. Transfer half the egg whites and cream cheese mixture to one of dough rectangles, and the other half to another. If you have slightly uneven rectangles, use the larger ones as the bottom layer. 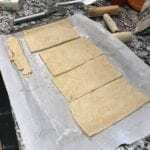 Place the two remaining rectangles on top of the filling and seal the edges. Use any remaining trimmings to seal the edges as needed. (Re-roll the pieces if you need longer strips.) You can use a fork to crimp the edges of each pop tart. Spray the tops of each with nonstick cooking spray and sprinkle with everything bagel seasoning. Bake for 14-16 minutes or until the pop tarts are golden brown. 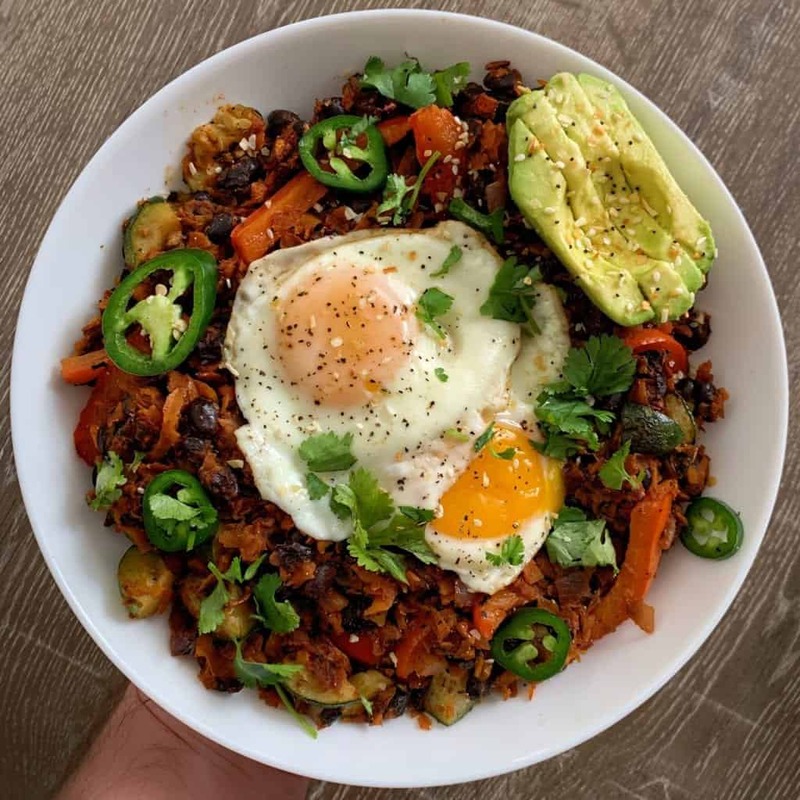 If you like a bit of spice in your breakfast, you’ll love my southwest sweet potato breakfast hash recipe. 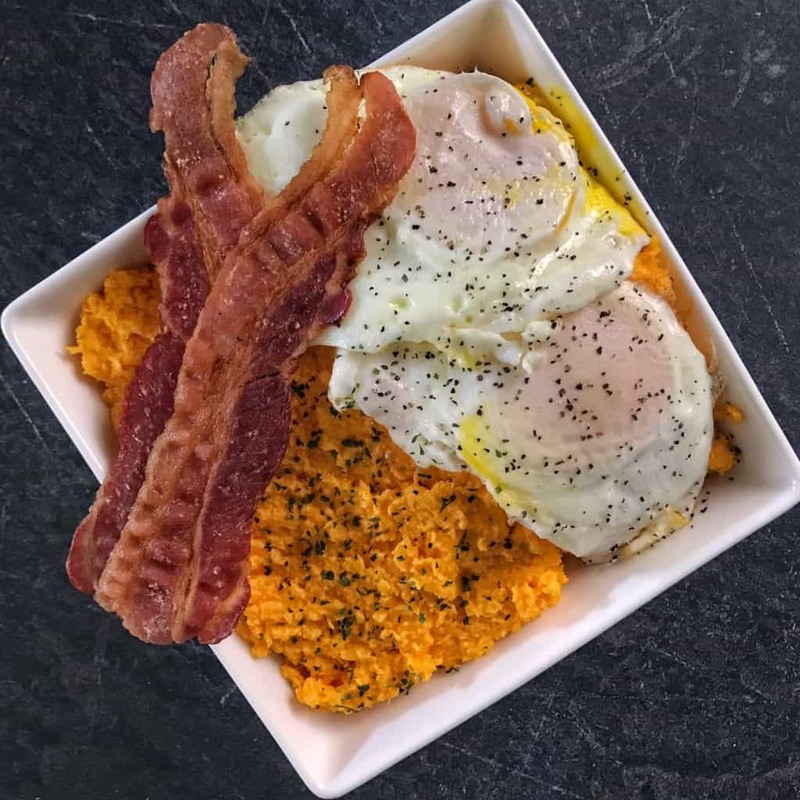 And if you need a lower carb breakfast, my cheddar cauliflower grits breakfast bowls will be right up your alley. Looking forward to trying these. Did you experiment at all with storing them and reheating on multiple days? If so what’s the best way? Thanks, David. Hope you enjoy them as much as I did. To answer your question, I just finished my last one off this morning from the first batch (that would’ve been Monday or Tuesday), and they’ve all been great leftover. Still firm and not soggy, a little surprisingly. I’m a bit weird and like most leftovers cold, but I did microwave one for 30-45 seconds. I bet a few minutes in an oven or air fryer would restore some of the shell’s crunch. These have saved my busy mornings. I make a bunch of these at the beginning of the week, and freeze them. I just pop them in the toaster oven while a get ready, and boom, breakfast is done! I do add some garlic powder and bagel seasoning to the filling. Honestly oldie but a goodie😍 such a great thing for on the go breakfast. I put more cream cheese in my mine which gives it more of a filling and creamier but adds a little more calories. Sooo worth it though. These are so delicious! Made them a few times over the weekend and heated them up during the week for breakfast. I had to add a couple more grams of liquid to get the dough to stay together but making them a couple times they were easier. I hate to give this one star because everything I’ve tried so far has been really tasty. I’m going to give this recipe one more try. I think I may need to roll out the dough a little thinner next time. I will update my review once I remake this.